At Alternative Manufacturing & Design, we provide numorous services - Precision Sheet metal Fabrication and Forming, CNC Precision Machining and Lathe, Custom Fabrication, Precision Water Jet Cutting, Conventional and Spot Welding, Tube bending / Rolling depending on your project requirement. Detailed description of some of our services are provided below. With our combined years of cnc machining expertise using state of the art equipment, our Haas machines are capable of holding tight tolerances on production runs. Through cutting edge software and designing skills, we provide manufacturing solution to meet your project goals on time and within budget. 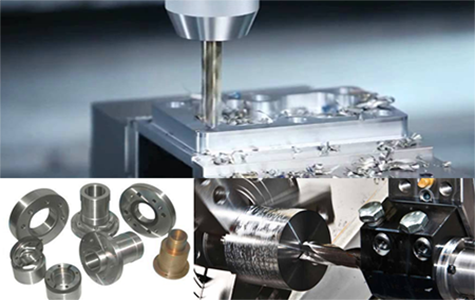 Alternative machining inventory includes: Haas CNC Mill VF-3s, Vertical and Horizontal Mills, Drill Presses, and CNC Lathe Machines that can bore, drill, groove, thread, and turn your machined parts. We machine out parts and components from all materials including aluminum, stainless steel, plastics, brass, and many more. We use all natural media to cut virtually any type of material with high accuracy and precision which is environment friendly and cost effective. Our Waterjet technique doesn’t use chemicals, produce little or no heating and does not cause any toxic fumes. No heat or material discoloration. Virtually no burr after the cutting. Cut any material you want including, but not limited to, Steel, Aluminum, Plastic, and Glass. 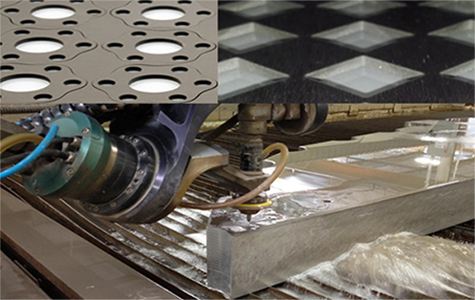 Check out our waterjet gallery to have an idea of our waterjet work. Alternative Manufacturing & Design offers a whole range of Sheet Metal Fabrication services including metal forming, cutting, shearing, punching, bending, spot welding, TMAW, metal finishing, hardware insertion and assembling. From designing, prototyping, to short run and production, our facility is equipped to handle large volume of work with unbeatable lead times. Our manufacturing system is set up to process all kinds materials like Stainless steel, Aluminum, Copper, Brass, Glass, Acrylic, Plastic etc. We service a wide range of industries like Commercial, Electronic, Mechanical, Automotive, Entertainment, etc. We have highly skilled personnel to weld all your metal components, whether Stainless Steel, Aluminum or Brass Sheets, Tubes and Rods/Bar Stock Parts. Our hi-tech welding equipments are capable of providing the highest weld quality to your components. 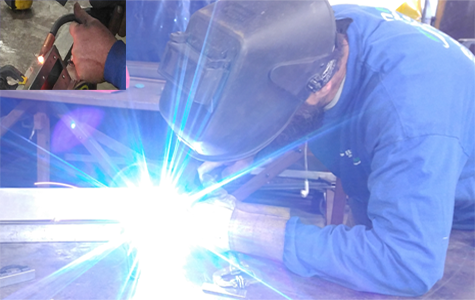 The different welding techniques we use in our manufacturing and fabrication processes are Shield Metal Arc Welding, T.I.G (Tungsten Inert Gas Welding), M.I.G. (Metal Inert Gas Welding), and spot welding. 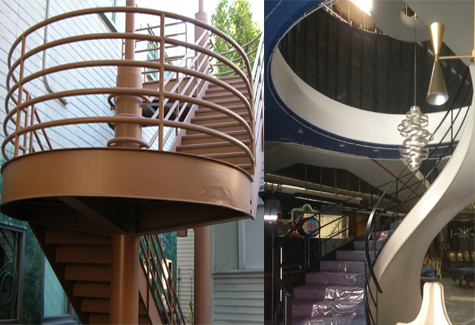 Over the course of the years we have done a plethora of custom fabrication jobs: Staircases, Railings, Structural supports, architectural metal design, metal art and more. Whether it is forming, cutting or welding, lathing, broaching, grinding, and milling, we employ skillful metal fabrication techniques to provide you the best service expected. Our design and fabrication team work side by side through each step of our custom projects to provide you the best components in the industry.Check out our fabrication gallery to view our featured custom fabrication work. 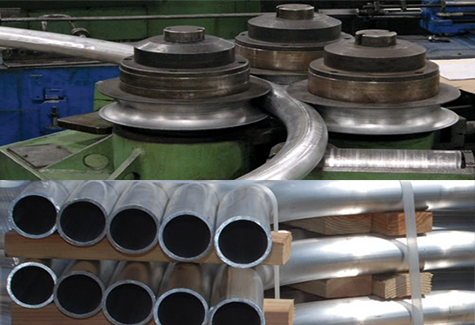 We offer a vareity of tube bending services including round, square, and customized designs using all kinds of metal. We bend and form a variety of products used in many industries from automobile, agriculture, to electronics, and construction. Check out our bending equipments.